Stroll along the cobblestone streets of Cusco to realize immediately why this is the archeological capital of South America. Pre-Columbian and Colonial architecture blend together in this city filled with rich history from the time when Cusco was the capital city of the Inca empire. Spaniards built-in the 16th century palaces and churches on top of the city ruins. If you are in Cusco I would love to see your pictures. 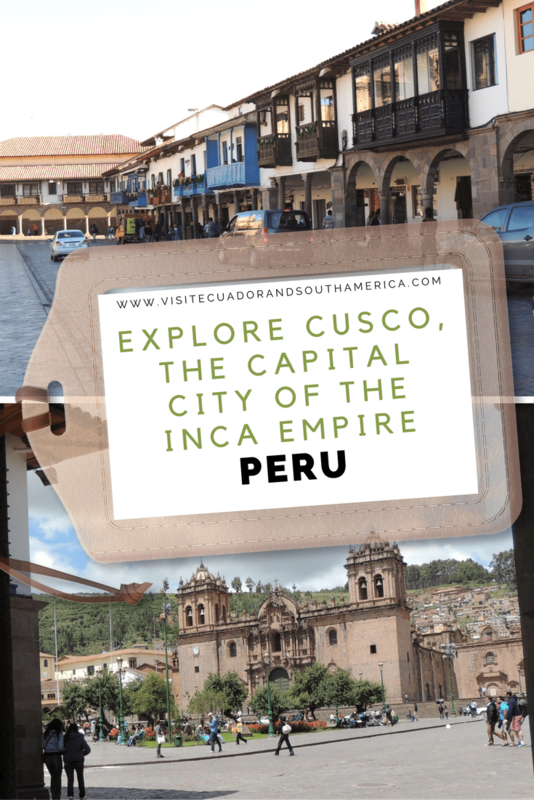 Cusco offers not only amazing Inca ruins, but also cozy colonial plazas and great markets for souvenir shopping. Venture outside the city center to enjoy wonderful trekking options and explore fascinating archeological ruins. The city offers not only amazing Inca ruins, but also cozy colonial plazas and great markets for souvenir shopping. As with most places in South America, it is best to book your airplane ticket in advance to get good prices! I personally recommend using Expedia to find the best rates. If you have only a few days to visit Cusco and Machu Picchu, then the best option is to fly from Lima to Cusco. This is not the cheapest option, but it will only take you one hour. The second option is to take a bus, or to rent a car both of them will save you some bucks, but it will take more than 20 hours. Booking a tour to explore Cusco. It will ease communication barriers, allow you to gain inside knowledge, and avoid the hassles of planning and logistics. You will be sure about where you are going and what you are doing, seeing and learning. Here are some great options for you. We stayed at Taypikala Hotel Cusco a lovely small hotel with antique Inca decor, a gorgeous small square “plaza” in the middle of the hotel with a lovely fountain and other nice details. The rooms were comfortable with a homey feeling to them. I love the fact you can easily walk to Koricancha from the hotel. In addition, it was near the main Plaza in Cusco. Try to enjoy the walk to the main Plaza at night, the Koricancha is nicely illuminated. Providing a perfect ocassion to get some wonderful night shots. Here are more great options of places to stay in Cusco. Here is a map of the hotel and the main sites, to give you an idea. 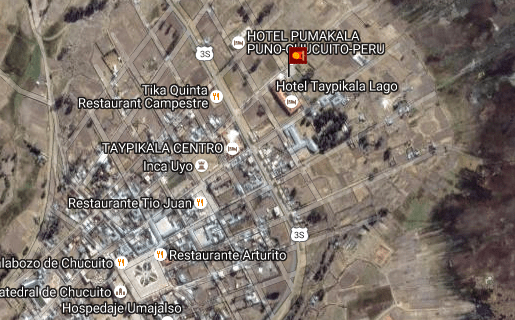 The altitude in Cusco being at 3399 m, can sometimes affect visitors, specially those living at sea level like me. After living in Norway for 3 years, the altitude sickness was an issue for me. Fortunately the hotel has coca tea and leaves in the lobby and I was able to chew and drink them. While chewing the leaves I was thinking, this is how it was done during the time of the Inca empire! Let’s use ancient natural medicine! It did help, but after a while I was offered 5 mins with an oxygen mask, which I gladly accepted. Word of advice, take it easy! Your body needs to get used to the 3500m. Staff members were helpful and made sure we had all we needed. During the rule of the Inca empire, Manco Capac´s capital of the Tawantinsuyu Inca Empire was located in Cusco. The city was then conquered in the 16th century by the Spaniards, which is why you will see that many of the structures built during the Inca empire remain, and that those were the foundations to build churches and palaces that can be admired all around the city. Some of the amazing stonework remains intact in the Qorikancha, located near the center of town. The original Qorikancha was an important temple for the sun-god Inti. The Spanish built the Church of Santo Domingo over the Inca temple, destroying much but keeping the foundations, and preserving some of the original Inca rooms inside. The sophisticated stonework techniques of the Incas proved resilient to earthquakes. You should try to taste Peruvian beverage Chicha de jora and alpaca meat. If you are out in the evening, then try the local soda, inka cola and some local beer. In addition to rain gear and warm clothes, bring something to drink and sunscreen. Remember the sun is stronger around the equator. If you have a a SLR camera with you to any trip where it might rain, get a Professional Rain Cover for Large DSLR Cameras otherwise avoid using it or you risk it getting damaged. You can stroll down the cozy streets in Cusco and feel that you are indeed in what was the capital of the Inca – Empire. Admire indigenous people dressed with traditional clothing, streets preserving Inca and Spanish architecture and more. The city offers many bars and restaurants all over its downtown area. The exterior is very well-kept, giving you that feeling that only a small city in the middle of the Andes can give you. What were your impressions of this charming city? If you are like me, you will probably want to know all about places to visit and enjoy the delicious gastronomy of Peru, so I highly recommend taking a look at the Lonely Planet Peru travel guide for more information, tips and inspiration! Finally, I would like to invite you to follow me on Facebook, Twitter, Pinterest and Instagram. In addition, you can subscribe on YouTube. ⟵A close encounter with five endemic species of the Galapagos Islands.